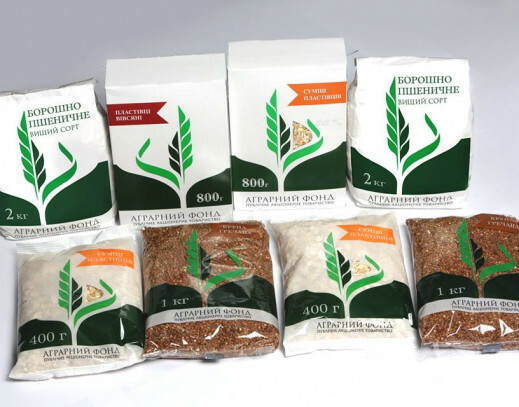 Yuriy Melenchuk mentioned: "Initially there were sales of wheat flour on the market, buckwheat was next in a row and now - oat flakes and mix of oat flakes. We continue to work on the increasing of our range of products. We hope that we will produce semolina, corn and oat flour. We are thoroughly analyzing consumer market and do our best to come out with our brand new products. Today PJSC "AGRARIAN FUND" holds over 12 % of wheat flour in the domestic market", said the Director of the Department. PJSC "AGRARIAN FUND" has become a well-known company after half a year of coming out on the retail market with its own brand, so the products are sold almost in all regions of Ukraine." The director added: "For one and half year we have been cooperating with leading retail networks all over Ukraine. The key retail networks are "Silpo" - the domestic one, "Ashan" - the international one. We also cooperate with local retails for example: "Nash Krai" and "Polissia Product". "We have become a player of national scale and our products become known".